Weathering The Storm To New Horizons: Fall / Winter Crop Progress Report - Intercontinental Coffee Trading Inc. The winter crop is about 2 months late, having only just started, with coffee trickling into the mills. Furthermore, the crop will yield a steady flow over the next 6 months, rather than the normal peak during November and December, dropping off in February, then peaking again for the spring crop in April and May. Most of those we spoke to blamed the late crop on a very dry August/September with no rain followed by an extremely wet October with constant rain and no break in the cloud cover (At the time of my visit the weather had turned with good sun during the daytime). As direct result demand and prices have remained very high. Back in May, I reported a field price of US$ 5.00 /kg for asalan (unprocessed green coffee). Upon my return last week, I found no change in that price, despite a 10% devaluation of the rupiah against the dollar. Whilst the market is hoping prices will come down once the harvest begins to flow, I found a well-argued case for prices to actually tighten. The steady flow of coffee combined with the large buyers booking coffee on a three to four-month rolling basis, rather than the long 12 months forward spreads that have high price (and default) risks to a very cautious supply chain. I visited the areas 1- 2 hours north of Takengon, 1- 2 hours south of Takengon and some plantation in the immediate vicinity of Takengon. 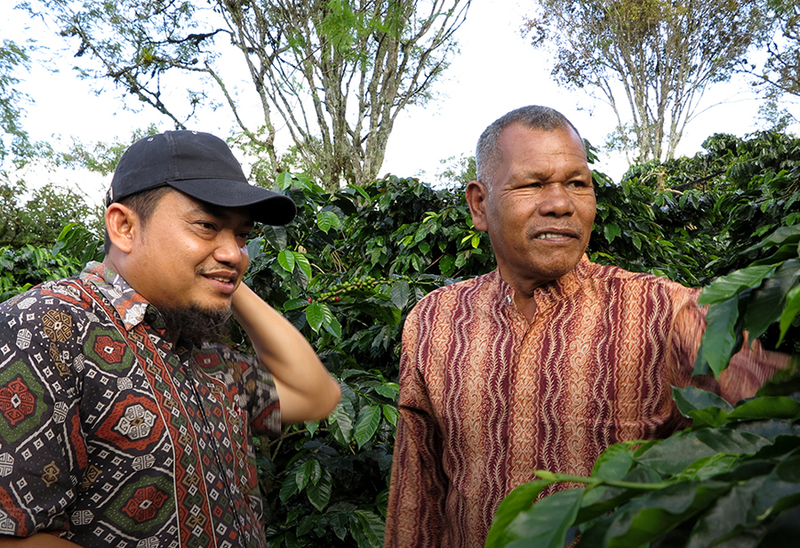 In the higher altitudes there was little coffee ready for harvest, but a good spread of green cherries to new flowerings within the same plantation and even on the same branch of a tree. There was coffee being dried on individual patios with coffee starting to arrive with the collectors and processors. In the lower altitude areas around Takengon, there was a little more red cherry and harvesting operations were clearly starting to pick up.